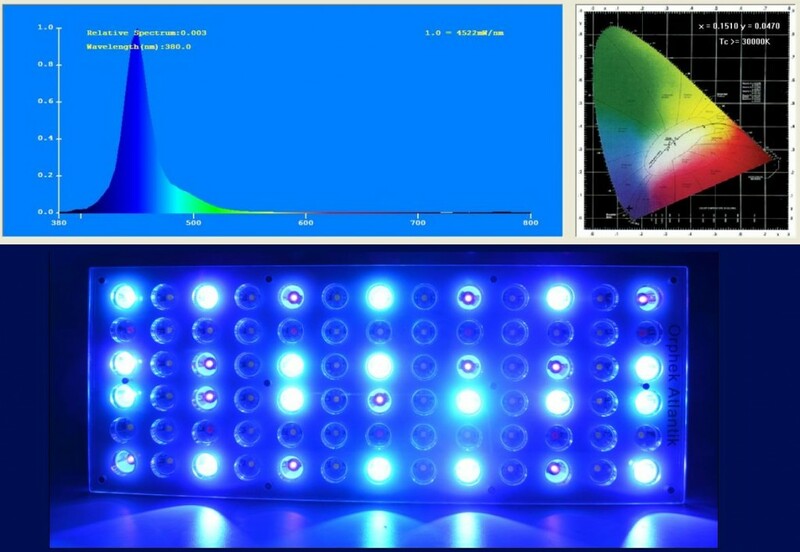 The Atlantik V2 is the most unique LED system Orphek as ever produced. It does not appear as bright as the V1 to the human eye but it is more intense in wavelengths needed for good coral growth. 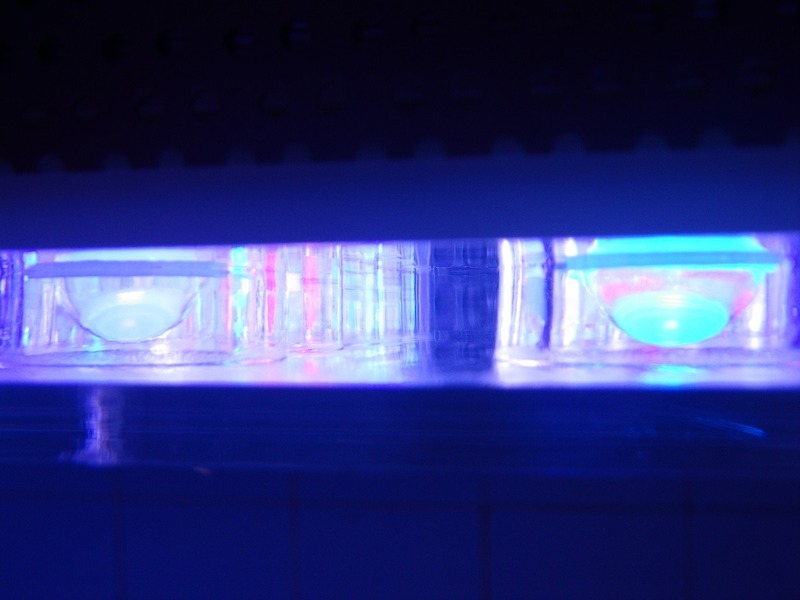 Our new UV/White LEDs are most interesting because they produce light in the wavelength between 360-430nm. Channel 4 – Red LEDs which can provide a very pleasing nighttime look when combined with Channel 2. 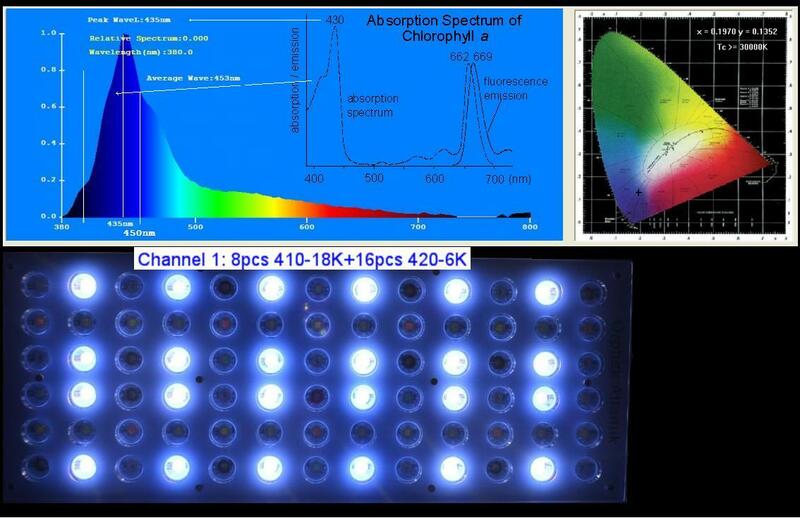 Our new blue LEDs are also unique in that the blue is not as intense as our older 450nm because we combine these LEDs with our 410, 430, and 470nm LEDs to produce colors that have depth. FireForest and Red Lobo’s look amazing under the V2. 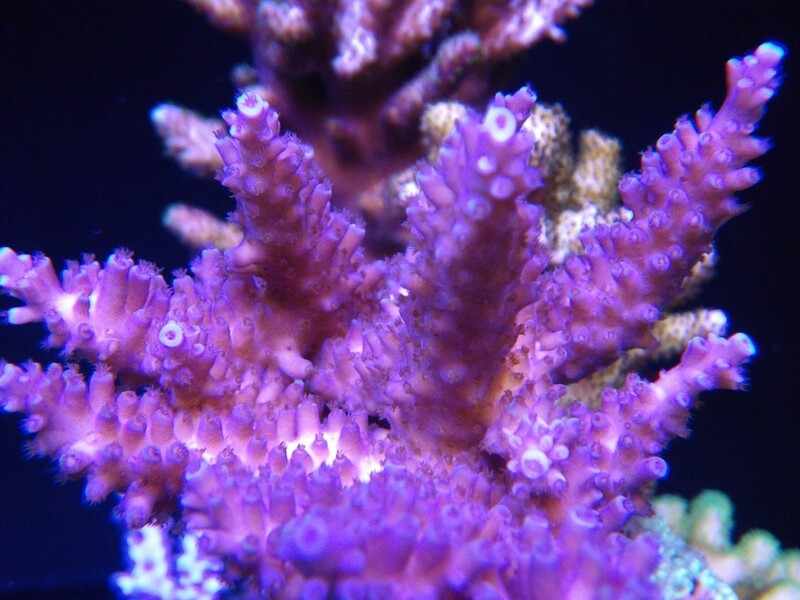 Why, because the high range of the blue (490-510nm) reflect the light back and appear more red where 450nm would just show a lower level of the red pigment. 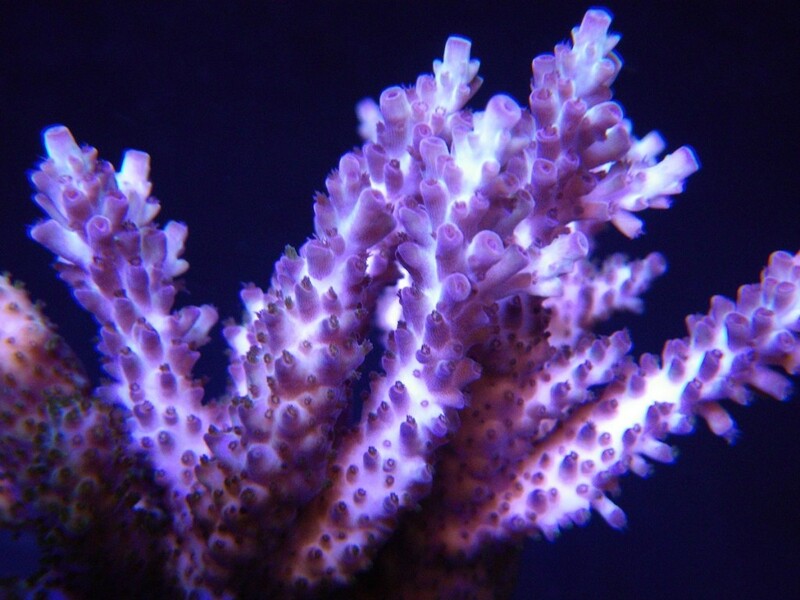 Our new Azurelight coral inspection light also produce similar results. Channel 3 is the brightest appearing channel and intensity levels can easily be controlled with this channel. Channel 4 also appears much better with the new LED layout. 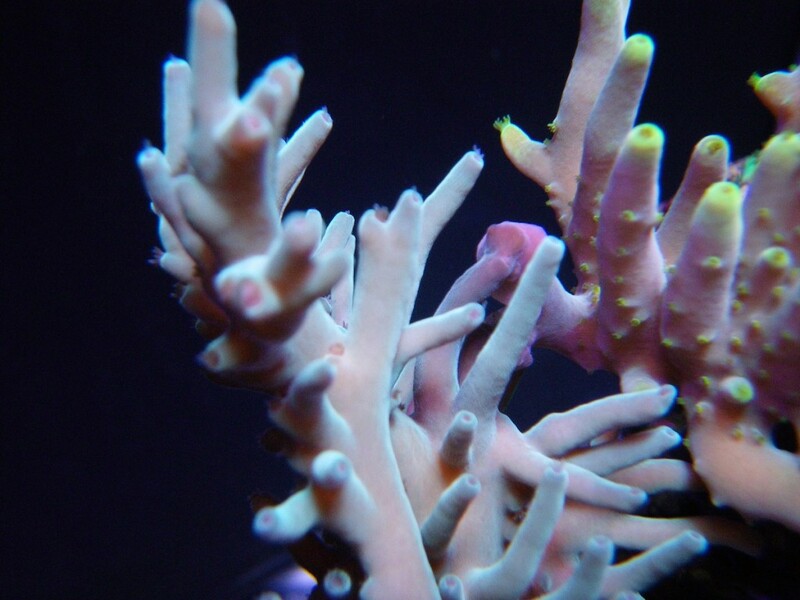 By combining blue and red channels with channel 3 we can create a strong pink color if desired. 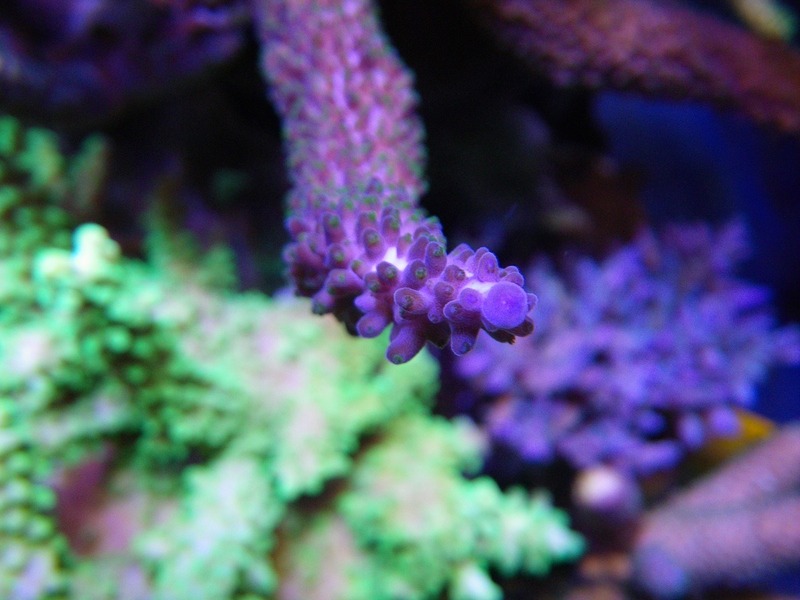 Our new arrangement allows better control and appearance of corals to give a more pastel look rather than a bright target look as in disco lighting. Much more information on our design can be found here.